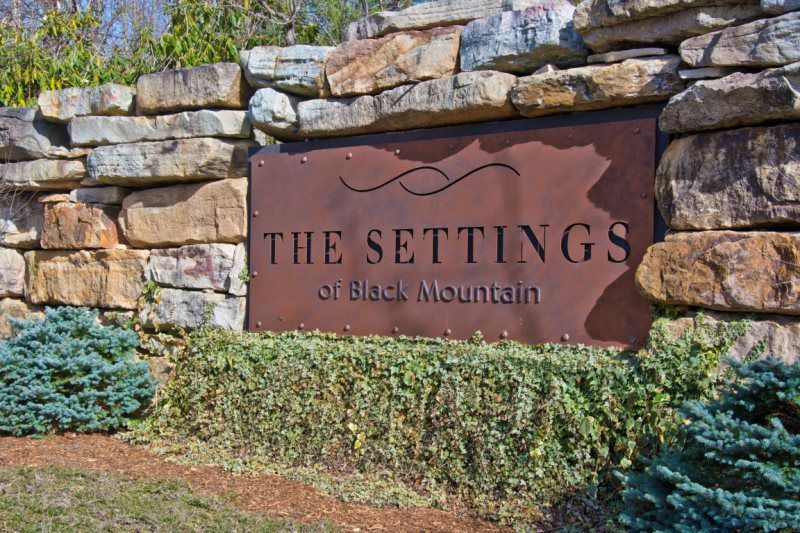 The Settings of Black Mountain is a private gated community nestled in the mountains overlooking the picturesque town of Black Mountain. The community has city water and sewer services which is rare for a private community in Western North Carolina. 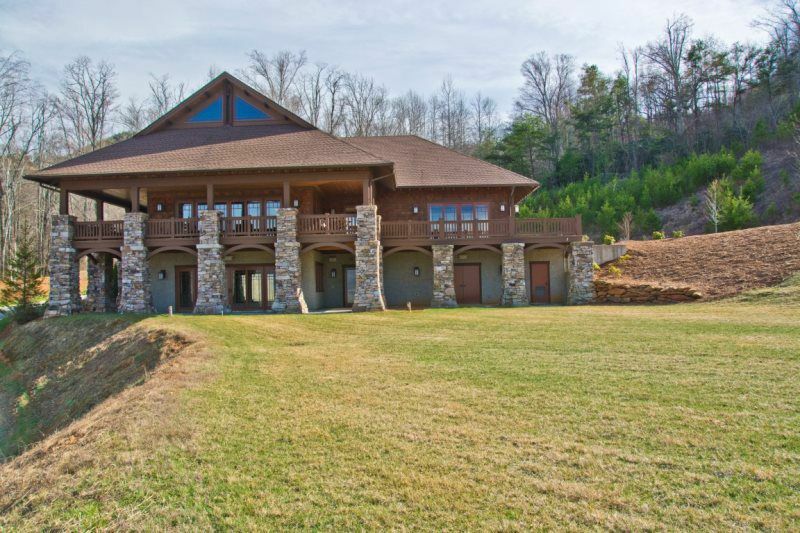 The architectural style of the community is Mountain Arts and Crafts. Each home is distinct, yet blends in with the overall design of the community. The Settings Design Review Board (DRB) works collegially with owners and their builders to ensure that new construction meets the guidelines of the community, while enabling owners to build the home of their dreams. Clubhouse: The elegantly appointed clubhouse includes full kitchen facilities for social functions; meeting, social, and office areas to retreat and work privately or to hold meetings; expansive patios and decks. Trail System: Created by the nationally recognized trail design firm Trail Dynamics, the community features several trails that range from built out to very primitive – from moderate to challenging. The Trails Committee is actively working to develop trails. Playground: The playground features a climbing tower, swings, and a slide. 40% of The Settings is designated as permanent greenspace. 115 acres are a North American Land Trust conservation easement along the Swannanoa Rim bordering the southern edge of the community. Recreation: The area offers rock climbing, fishing, hiking trials, bicycling and horseback riding, snow and water skiing, golf and white­water rafting. Black Mountain: The town of Black Mountain is home for several conference and retreat centers and is known for music, the arts, and colorful festivals that are held throughout the year. Ingles Supermarket has its corporate headquarters in Black Mountain. A “super” Ingles Supermarket is two miles from The Settings entrance.